Currently Pre-order only, shipping by end of October. The first LED to really compete with HPS lighting, Avici brings DE power levels, footprint, and light output with LED efficiency and tunable spectra. 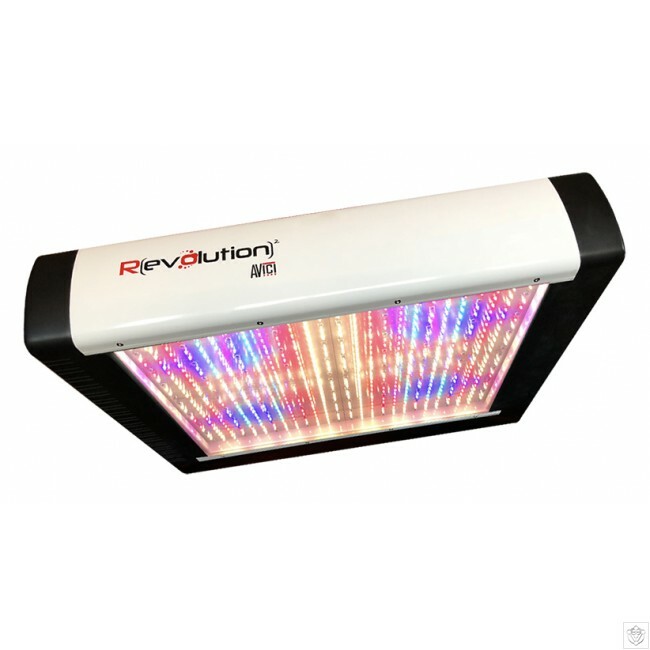 Change the color ratios with our Clone, Veg, Flower and Finish presets or dial-in your own custom spectrum to complement your DEva HPS or Metal Halide lighting. Avici can be dimmed as low as 28w or as bright as 1150w offering never before seen flexibility in growing. Choose your efficiency, choose your power level, choose your spectra. Avici puts you in control of your lighting. Designed from the ground up for avionic-grade reliability, Avici is rated to run continuously for thirty-two years while most LEDs are rated for just three. With Avici you’ll enjoy a more efficient indoor garden with higher performance, longer life and your choice of both spectra and power level. 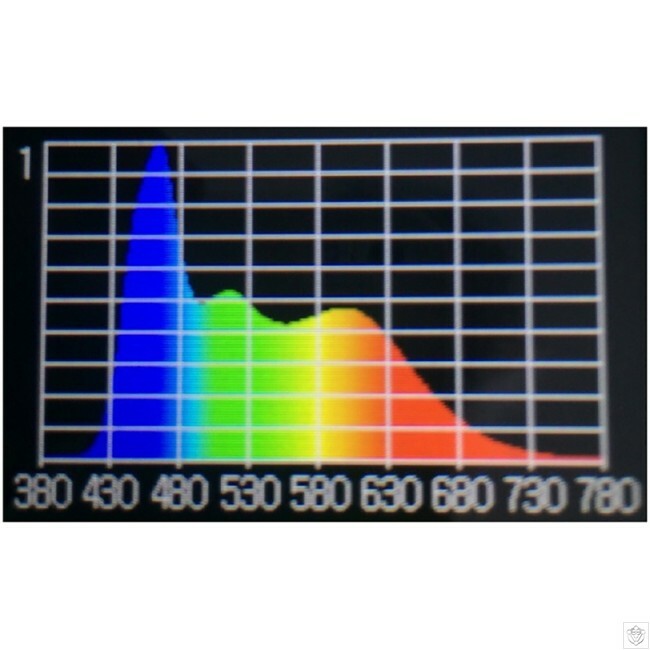 Growing for specific phyto-chemicals requires specific lighting. 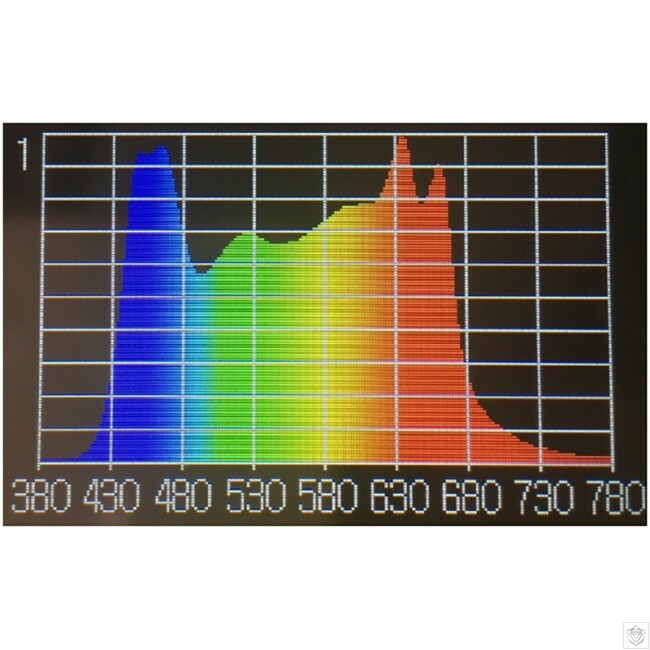 Avici is a continuous solar-spectrum LED array that begins with the sun as a basis for tuned optimal spectra. Pioneering indoor horticulturalists have historically been forced to mix and match different components, often sourced from several manufacturers and suppliers, to create a complete indoor horticultural lighting system. Fortunately, thanks to Avici, those days are behind us. Avici is a completely integrated, plug n’ play, no-compromise plant lighting solution. We make our own drivers and control electronics, and they’re built right inside the Avici chassis. All you have to do is plug it in and start growing. No knock-off clone parts here. 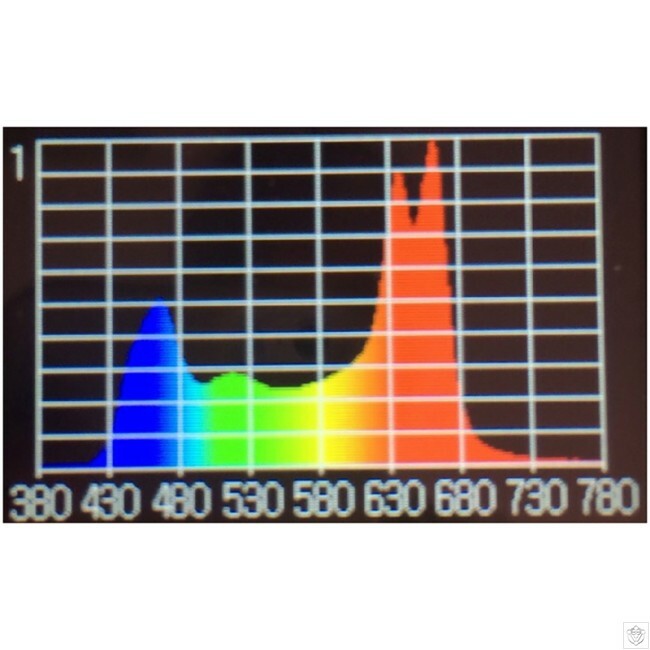 Avici is made from Osram and LumiLED (Philips) LEDs, the best we tested. Arranged on a wide, flat plane, Avici’s array of small emitters make a flat, even canopy of light unattainable with high-power LEDs or COBs at normal hang heights. It’s much more work to do this way, but a look at the IES files (or plants grown under them) show it was all worth it. The photo shows one of the Avici drivers with eight (8) independently controllable constant-current channels. During full-power heat-soaked operation, no component exceeds 70C for an estimated 32 year lifespan and Avici’s massive, fan-cooled, custom heatsink keeps the LED chips cooler than that. Heat kills electronics so we try to keep it down. 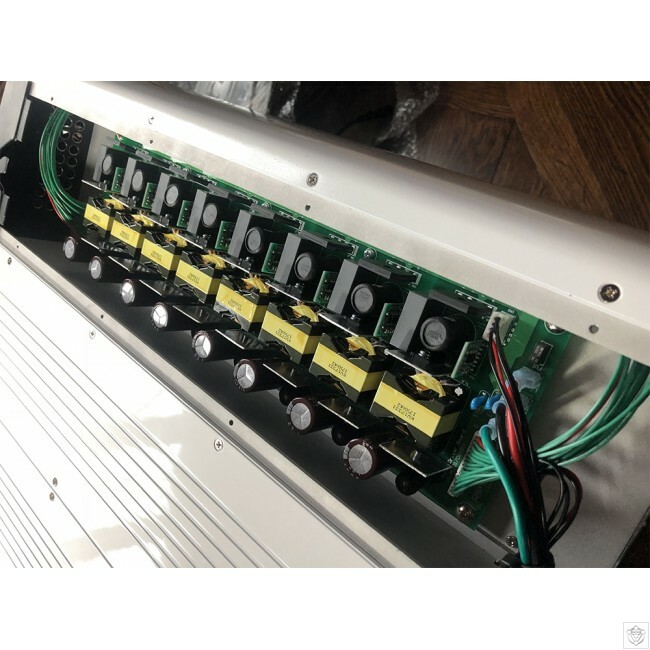 Our drivers use 600v power FETs as opposed to the more common 400v devices, and the electrolytic capacitors are rated for 105C, far beyond they’re actual in-use temperature. Silicon carbide catch diodes round out the Avionic-grade built on a HumidiGuard silicone coated circuit board for operation in humid environments. We don’t buy some one-size-fits driver and bolt it in. We design exactly what we need and tune it to match the LEDs exactly. This is our control board and is a small computer (MCU) running the now ubiquitous Revolution RS-485 protocol used by many other makers. Note also the extensive off-board filtering and EMI rejection circuitry needed to pass FCC Part 18B and the even tougher FCC Part 15B and European CISPR 22 specs. CE approved for Europe and CSA approved for localities requiring a UL listing, Avici controls are as close to bulletproof as we could make them. Avionic grade electronics means MTBF (mean time between failures) measured in a few decades, not a few years. Running sixteen (16) separate transformer-isolated channels spreads the heat and lowers component stress over external power pack or “one big driver” designs. A common approach is high reliability equipment, the type of design is more common in aircraft than in lighting and also means Avici is field-repairable. Pull the top covers, swap out the boards, and you’re back up and growing. Avici is designed for large scale grow operations looking to save power and use tunable spectra to control production of specific plant constituent chemicals like terpenes. From 28w to 1150w, Avici runs cool and solid, brighter than the DE fixture it replaced, and on less power. For full control and to access all features of the AVICI the RLC-1 Smart Lighting Controller is also required.